The quality of your print begins with your artwork. All orders requiring screenprinting should be supplied as vector art. Your graphic designer can supply this. Vector art is digital art created with line drawing programs such as CorelDraw or Adobe Illustrator. It is resolution independent. This means that it can be scaled up or down without affecting the quality of your print. Artwork should include pms colours. 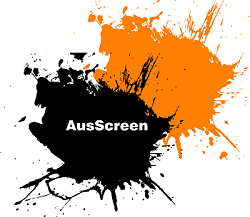 AusScreen can only print Coated colours. Again, your graphic designer will be able to supply this. Artwork should be saved as an EPS, AI or PDF file. All artwork must be PC compatible. Digital art should be designed to scale at 300dpi for optimum results. Anything less my result in blurred artwork or loss of fine lines. If your art bleeds off the edge, we need at least 2mm bleed. Artwork should be saved as a flattened TIFF file or as vector art. JPEG and GIF files are not recommended as they are RGB files intended for viewing on the internet. Artwork should be saved as an EPS, AI or PDF file. All artwork must be PC compatible. It is important to convert your text into curves or outlines before emailing your art. This can be done easily in Adobe Illustrator or CorelDraw by selecting the font, right-clicking and choosing ‘convert to outlines’ or ‘create outlines’. When you convert text to outlines, the lettering becomes vector shapes. If text is left as text, your fonts will default to a different type than what you had planned. This can change the entire layout of your artwork. Stuck for ideas? For a reasonable rate, our in-house graphic artist can help you bring your ideas to life. Feel free to contact us to discuss your print design.